As we begin our second week of topic series on stop-and-frisk, I wanted to say a little something more about why we decided to do the series, and how it relates to the overall goal of JustPublics@365, which is to reimagine scholarly communication in the digital era for the public good. 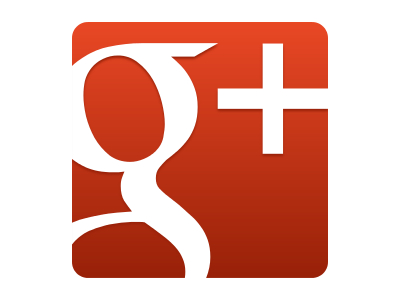 We’re living at a moment in higher education in faculty are increasingly using social media for their personal lives, as well as their work as professional and in the classroom. A new study just released from the Babson Survey Research Group and Pearson finds that 40 percent of faculty members used social media as a teaching tool in 2013. Faculty members’ use of social media has been steadily increasing since the survey was first conducted in 2010, said Jeff Seaman, co-director of the Babson Survey Research Group, in an interview with Inside Higher Ed. In such an environment, our efforts are channeled into narrow sub-specialties, and we consign our work to a tiny audience. Despite the common talk about the importance of “disruptive research” in the university, there’s no real understanding of what makes something “disruptive”. To disrupt anything requires going outside the normal methods for one’s work, redefining what’s important or interesting, and usually drawing on a wide range of data and methodologies. It almost always requires collaboration, and almost always requires going outside one’s own comfort zone. But in an environment where the senior faculty and administrators have been rewarded throughout their careers for toeing their disciplinary lines, there’s a lot of resistance to change. Some of that resistance is due to outright hostility, but most of it is just the result of a lack of experience and imagination. While Ernst took a clear eyed view of the limitations of academia and chose to “jump off” the Ivory Tower, we prefer to reimagine it. 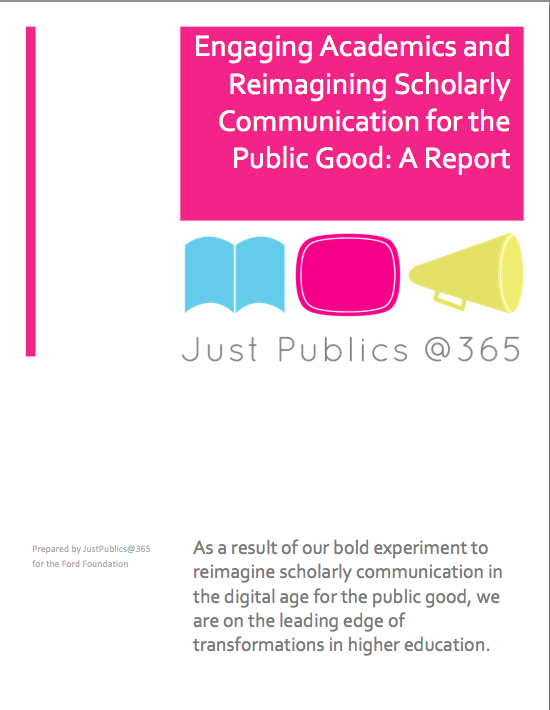 The aim of JustPublics@365 is to foster just the kind of “disruptive” work that can foster connections between academics, activists and journalists who are working to address some of the pressing social problems of our time. From where we sit in the heart of New York City, stop-and-frisk is at the top of the list of pressing social problems because of the deleterious effects it has on the democratic life of the city. Stop-and-frisk has also been an issue around which academics, activists and journalists have worked together, across traditional silos and enabled by digital media, in order to end this practice. So, we offer this series on stop-and-frisk as a kind of case study of how we might reimagine scholarly communication for the public good. This entry was posted in Impact, Topic Series and tagged case study, impact, ivory tower, Stop and Frisk on October 21, 2013 by Jessie Daniels. What it means to be an academic is changing. Academic researchers are finding it harder to either become or stay ensconced in an ivory tower removed from the rest of society. “What does it mean to be a university professor? For me, it doesn’t mean professing to other professors or to students. That’s part of the job, but it’s only one small element. The role of an academic is changing. We’re going through a culture shift – a culture shift that’s driven by external drivers. And these external drivers are basically saying that at a time when public monies are very scarce, and competition for those resources is intense, if you want to take money from the public purse, you need to show that there’s some social benefit for using that money. Therefore now, academics are under more pressure to show that their research has some form of impact. Some academics see this as a threat – to intellectual freedoms, to thinking. Within political science, there’s a much broader debate that began in American political science, about the way the discipline has evolved it has become disconnected from the world it professes to study. In my experience, at least 99% of the profession, at least the younger members of the profession, are signed up to this particular challenge, because they feel that you can’t study politics from your office. You can’t study politics from crunching data. Politics is about emotions and passions and fears and pain. Somehow, the study of politics has become de-politicized. I ask anybody to pick up an academic journal and first, wonder if they’d be able to read it, and secondly, wonder if they’d really understood why that mattered to the real world, or got any of that sense that politics is about human relationships. One example of academics who are successfully reaching beyond the academy is the work of the Center for Urban Research (CUR) here at the Graduate Center, which uses statistical data and mapping software to provide better understanding of a host of urban issues. In partnership with the League of Women Voters, the CUR developed a website for citizens in New York City to quickly and easily find their elected representatives. The site, Who Represents Me NYC, just launched last month. In Brooklyn, faculty and students at Pratt are using the tools of Urban Design and Architecture to design ways of rebuilding a sustainable NYC waterfront in the face of the realities of climate change post-Hurricane Sandy. In the Bronx, the Public Science Project has been working with residents there to create The Morris Justice Project, using participatory research to resist the damaging policies of the NYPD. The Morris Justice Project partnered with The Illuminator – a roving van created during the Occupy Wall Street movement – to project their community-collected data onto a local apartment building. 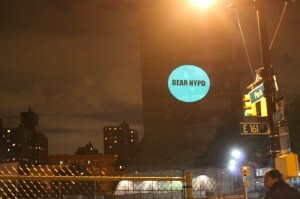 The projected image took the form of an open letter to the NYPD. The data called out like a “bat signal” gathering neighbors to discuss what it means to live, work, raise kids, shop, go to school, play, and pray in a community that experienced nearly 4,000 police stops in 2011. Half of these stops involved physical force. These are just a few, New York City-based examples of academic researchers connecting with people beyond the usual, small circle of fellow experts. There are many others, of course. I wrote here just recently about the excellent partnership between the LSE and The Guardian to produce “Reading the Riots,” intended to reach a broad audience with a critical analysis of the riots that swept London. What all these examples point to are the ways in which being an academic is changing. Partly this change is due to the rise in digital technologies that make publishing a much easier proposition than in the pre-digital era. This change is also partly due to the rise of alternative academic careers, such as data analysts, mapping experts, and data visualization experts, that are opening up at the same time as the adjunctification of academia means fewer, traditional tenure track jobs are available. Of course, the rise of these alternative careers is in no way keeping pace with the decline in tenure track openings, but their emergence, alongside the rise in digital technologies, does point to new ways of thinking about being an academic and a public intellectual. There’s something else at play that’s changing what it means to be an academic. We live in a moment in in the US which income inequality is approaching historic new levels that, as President Obama recently observed, “is fraying the social fabric of our society.” A recent study finds that 80%, or 4 out of 5, US adults struggle with joblessness, near-poverty or reliance on welfare for at least parts of their lives. Academics, both those lucky few in tenure-bearing jobs and those looking to find them, are part of this social reality as well. 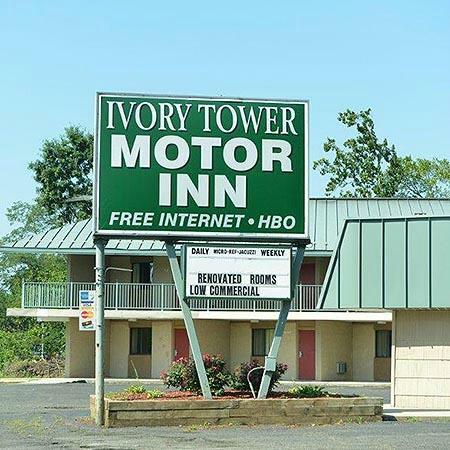 Within such a context in which so many people, including many struggling academics, are hurting it seems improvident, maybe even unethical, to be checked into the Ivory Tower motel using the free Internet, HBO and talking to ourselves. This entry was posted in #AltMetrics, Impact and tagged be an academic, impact, social benefit on July 30, 2013 by Jessie Daniels.